Vanessa Stanley is a final year Electronic Engineering student in the Faculty of Engineering, Environment and Computing. Here, she shares her experiences after a placement year in industry and gives some helpful tips and advice for anyone looking to include a placement in there studies. The knowledge and skills I have gained during my time at Siemens is so valuable. 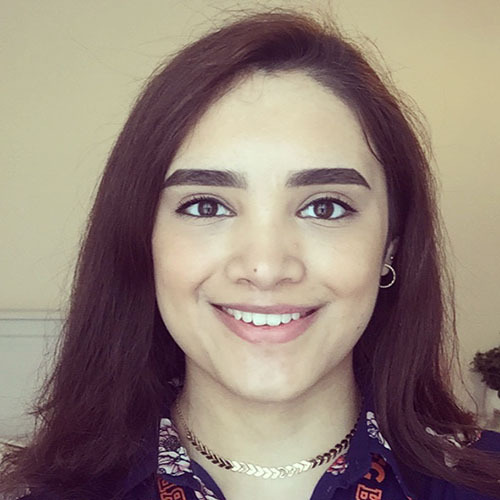 Not only have I been able to advance my technical skills in a completely new area of engineering, I have also been able to develop my professional skills through Siemens’ Intern Development Programme. Through these training modules, I have improved on my presentation and productivity skills, which will be incredibly useful in the final year of my degree, as well as my future career. In one project, I used novel software to digitise safe system work. This was particularly good to work in because this is new technology for the industry, and it was great to be involved so closely with the project. I created the first Human-Machine Interface prototype for the project, and then worked with a team of engineers to produce the first working demonstrator for our client. Because it gives you a really good feel for what the industry is really like. You also get to work on real projects that make a difference – you can really immerse yourself in that industry. Getting this experience early on in your career is also great when applying for graduate roles and in the further stages of your career – you could even leave your placement with an offer to return upon completing your degree! There are so many different opportunities out there, and during the year, you will learn lots of different technical and professional skills. From applications and interviews right the way through to the end of my placement – they provided an excellent service. So if you are going to apply for a year in industry, I would encourage you to keep in touch with them and ask them for any assistance you may need (there is no such thing as a silly question!). When I applied for placements, I got my CV and Cover Letters checked over by them and they always gave me advice on how to improve my writing and layouts to ensure that my application was the absolute best it could be. 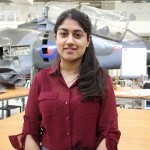 Vanessa is the IET Young Professionals Chair for Coventry and Warwickshire, and Senior Course Representative Chair for the Engineering, Environment and Computing Faculty – Undergraduate Electronics Forum. EEC Futures are the dedicated Employability and Placements team for the faculty of Engineering, Environment and Computing, supporting students to secure different types of work experience including summer internships, industrial placements and graduate jobs. They have dedicated placement advisors providing support tailored to each course area, and their wide range of events on campus provide students with the opportunity to network directly with recruiters and gain confidence in a professional setting. This industry experience gives our students here at Coventry University a competitive edge when moving into graduate employment. 4 Fascinating Student Stories on International Women’s Day! ← Feeling Confused about UCAS?